Even the most seasoned travelers need somewhere to call home. Nothing makes a home feel more complete than having a four-legged companion waiting. There is a special bond that modern-day adventurers have with their pets: no matter where they go, someone will always be home waiting to greet them with undying love and affection. Every once in a while, it seems like a natural fit to bring furry friends along for the next trip. Whether it's a weekend at the lake or a trip halfway around the world, pets can be a natural and comforting companion to have alongside. Depending on the destination, some travelers will purchase a travel insurance plan to cover them in the event of injury, illness, or an unforeseen event. If the worst were to happen, would traveling pets be covered as well? Unfortunately, pets do not have the same rights and coverage levels as their human counterparts. Those who do plan on traveling with pets in tow need to consider all the situations affecting them while traveling - both on the way to the destination and while far away from home. For those traveling by air, policies for pets may differ greatly. As an overall rule, travelers need to coordinate with their carriers about travel rules for their animals and set up arrangements far ahead of time. 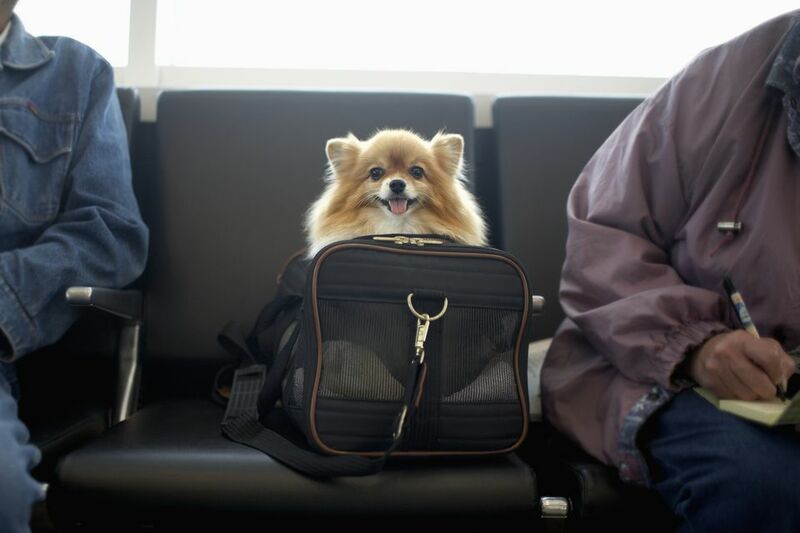 Small dogs and cats who travel in a travel-sized carrier may be able to travel with their owner as carry-on luggage. If a pet cannot comfortably be fit in the cabin, or there are already too many pets in the main cabin, they may have to be transported as checked luggage. In order to travel as checked luggage, dogs may require a number of special accommodations, including a minimum age, a travel crate, and a health certificate from a veterinarian. Airlines may also impose a special fee for pet companions while traveling; this policy varies among airlines. Finally, although an airline can transport pets, each has a different level of liability for a pet's health while entrusted to the carrier. As proven in a previous legal case, some airlines will limit their liability to the same limits prescribed to checked luggage, currently set at $3,300 for domestic flights. If a pet were to get injured or die in the care of an airline, the airlines may only cover losses of the declared amount, up to the maximum. International travelers will purchase a travel insurance policy to cover their health while in a foreign country. Do those same liberties extend to pets as well? The answer is complicated and difficult. If a pet is brought onto an airplane either checked through or carried on, then some travel insurance policies may consider the animal as luggage. As a result, travel insurance may cover what happens to your pet as a direct result of handling from the airline. If a pet is injured during travel, a travel insurance policy may elect to cover this under baggage damage. If the unthinkable happens, then the declared value of the pet may be recovered as baggage loss. Before buying a travel insurance policy, be sure to ask about how pets are viewed by the policy. Would travel insurance cover a trip cancellation if an airline cannot accommodate a pet? Generally speaking, many travel insurance policies do not view veterinary situations as acceptable situations to cancel a trip, including rescheduling a trip because an airline cannot accommodate a pet. Those travelers that are concerned that a flight may be "pet-overbooked" should consider adding Cancel for Any Reason to their insurance plan. Does travel insurance cover an injury to a pet while abroad? Because travel insurance policies are limited to human travelers, many will not cover injury or illness to pets while traveling around the world. In addition, some locations, like Hawaii, have quarantine requirements for entering pets. As a known expense for travelers, insurance may not cover a delay or loss as a result. However, those traveling with their pets across the United States should consider a specialized pet insurance plan, which may cover expenses if a pet gets injured while traveling. Although pets are not traditionally "covered" by travel insurance, travelers can take reasonable accommodations to take care of their furred friends. By understanding what insurance will and will not cover, travelers can make better decisions about when to travel with pets, and when to leave them at home.